In marketing and advertising, analytics has many functions that stem from the insights provided by data. 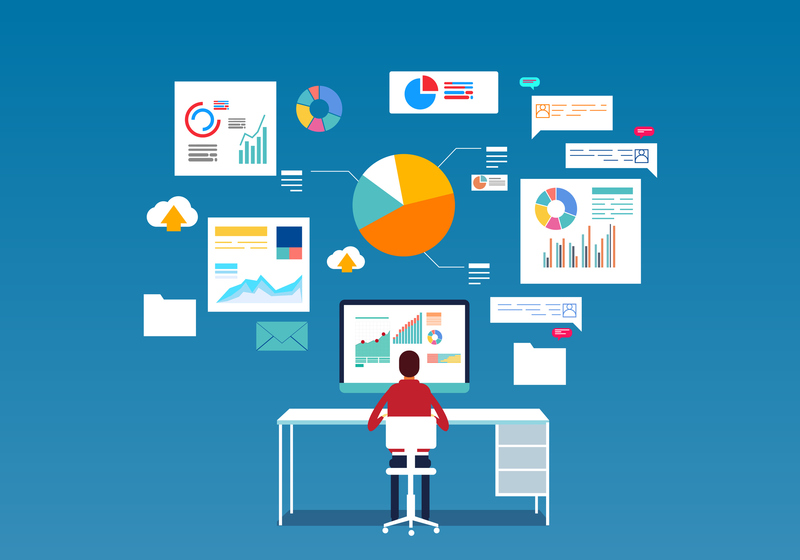 Analytics and measurement are both popular topics in the industry today – driving the increasing data aggregation that accompanies the rise in digital technology and the increase in time that users are spending on or around digital technology every day. I took time to discuss the importance of analytics with our Analytics Manager, Meghan Dimas, and get her take on the value that analytic insights can provide. Q: What is the overall purpose and function of analytics? M: At the end of the day, we want to be more proactive rather than reactive. Looking for comparison, seasonality, and trends that translate back to our clients’ business goals is something that we should always be doing as a best practice. Our goal here at Infinity is to make immediate optimizations and recommendations based on the data we’re seeing and provide context and clarity that will create truly data-driven insights and action for our client. Actionable insights translate into the narrative and story we are able to share with clients to showcase overall media effectiveness and ultimately help to diagnose things like ad fatigue/stale creative, the ad formats that drive the most engagement, and where impression share is most impactful when compared against all traditional and digital tactics. Long story short – we need to be able to take the media performance metrics and make them meaningful to the client. We do this by relating it back to key business goals and objectives. C-suite teams care about ROI. Q: What impact can data analysis have on industry today? M: The more we tell our client about their audience, the better. We can use data analysis to verify or change the target audience of each campaign and client. This way we can shift our targeting and messaging to speak to the most relevant audience. Data gives us the meat that we need to perform analysis, which translates directly into the narrative and actionable insights that ultimately help to shape industry benchmarks, identify ongoing trends across industries and verticals, and instill best practices. Q: What are the most common mistakes or misconceptions on analytics? M: Data will only be as good as the way you organize it. When you don’t organize and aggregate your data in a way that is meaningful and consistent, you can’t get the full picture and therefore can’t see the full impact of analytics on this data. Don’t stop thinking on what these numbers mean and learn how you can take your next step based on your insights. Keep asking yourself “why” and dig deeper into the numbers that are available. You’d be amazed at the conclusions you can come to or the optimizations that you can make for clients to improve effectiveness within their campaigns when you go through a critical thinking process each time you interact with the metrics. Q: How is data analysis changing? M: Our primary concern is data security and privacy. We’ve seen the changes that some platforms have rolled out and we think this is only going to continue as other platforms and partners respond in the same way. We saw a ton of activity and controversy surrounding Facebook and Cambridge Analytica earlier in the year and Facebook has already restricted the ability to use specific characteristics to target against, which ultimately limits what data can be returned for analysis. Our key to success is being nimble. As things will undoubtably change, even in individual campaigns, adaptability is the key to continuing to provide data driven insights and actions for our clients. Here at Infinity, we strive to see beyond the curve and anticipate how we can use analytics and data for what comes next for our campaigns and clients. Always ensuring our data is organized efficiently ensures we can draw the most valuable insights from our analysis. This translates to more actionable information for our clients, increasing the value of our analytics team here at Infinity one campaign at a time.